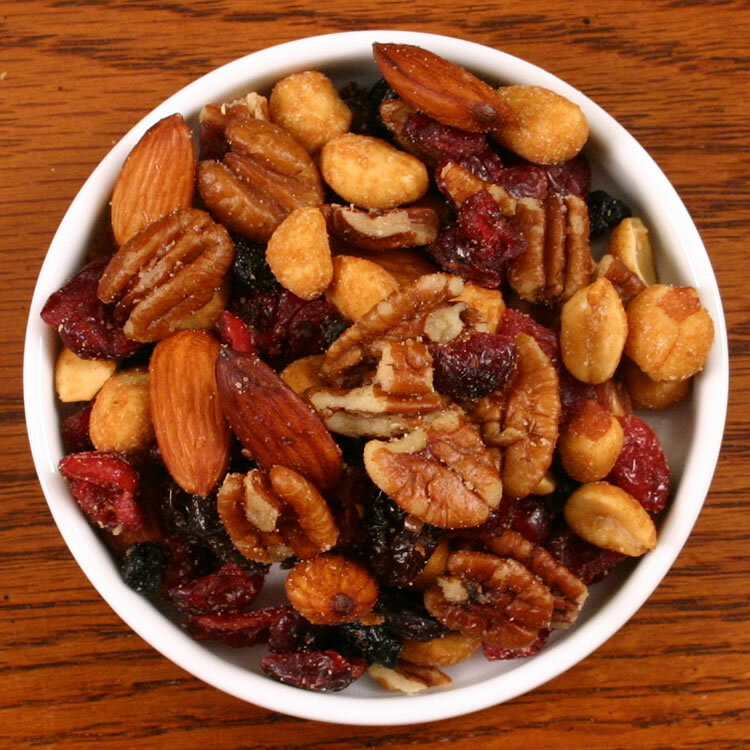 A blend of dried red tart cherries, cranberries, blueberries, pecans, almonds and honey roasted peanuts. Tart, salty, sweet...delicious. 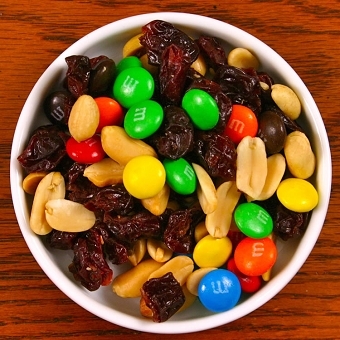 A healthful snack and a great tasting mix. While we ship our Traverse Cherry Berry Nut Mix in resealable pouches, they rarely need to be resealed. Our best recommendation to you.... buy two bags, it's that good. The Traverse Cherry Berry Nut Mix is simply FANTABULOUS!!!! I received a small bag of the mix as a conference gift and before I could leave the city I had to find the Cherry Stop and get a large bag for the road.